This museum occupies the small, modest house where Jose Marti, a national Cuban hero, was born on January 28, 1853. In addition to his revolutionary pursuits, Marti was also one of the most outstanding masters of Latin American literature in the 19th century, a poet of sensitivity and an incisive journalist. 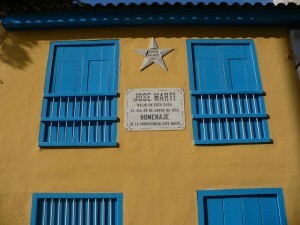 When he was forced to leave Cuba because of his revolutionary ideas, Marti lived in several countries in Latin America, Spain and the United States. He founded the Cuban Revolutionary Party, the organization that planned and led the last war for independence, which broke out on February 24, 1895 under his leadership. Marti was killed in action on May 19, 1895. The museum, which opened on January 28, 1925, contains many of Marti’s personal belongings, manuscripts, documents, articles, books and other items. walking distance from the Central Railroad Station.